Houston, TX – March 11, 2016 – SMM International was awarded a finalist recognition for “Fastest Growing Company” at the coveted Business Excellence Forum & Awards on Feb. 22, 2016, in Orlando, Florida. 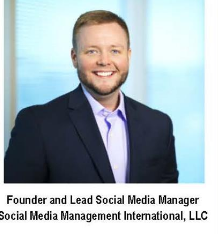 SMM International is a first-time finalist for the “Fastest Growing Company” category, which is an outstanding achievement for an up-and-coming two year-old social media management company. The American Marketing Association’s Orlando chapter supported SMM International’s first-time finalist award mention by retweeting the announcement at @ama_orlando.